Originally published in 2004, this is a comprehensive review of the subject of the nature, causes, and consequences of fluid flow in oceanic crust, setting in context much research for the first time. The book begins with a concise review of the relatively brief history of its subject which began shortly after the dawning of plate-tectonic theory. It then describes the nature and important consequences of fluid flow in the sub-seafloor, ending with a summary of how the oceans are affected by the surprisingly rapid exchange of water between the crust and the water column overhead. The accompanying internet material includes a full and easily navigated set of diagrams and captions, references, and photos of research vessels, submersibles, and tools used in marine hydrologic studies. 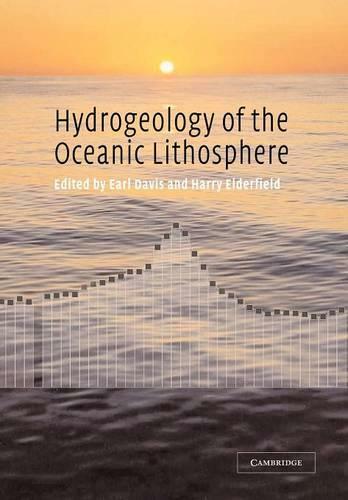 A valuable resource for graduate students and researchers of Earth Sciences and Oceanography.